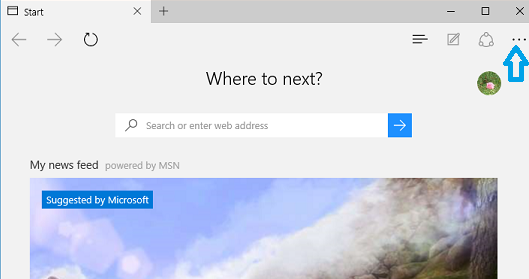 Open Microsoft Edge browser and press "Ctrl+N" keys to open new browsing window. Open Microsoft Edge browser. Click on "More actions" link (This is link with three dots (...) at right side on address bar). In "More actions" menu, Click on "New window" to open new browsing window. 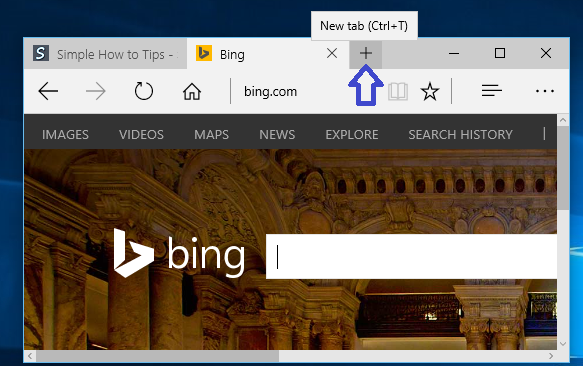 You can open new browsing tab in current Microsoft Edge window by pressing "Ctrl+T" keys or click on "+" in title bar.